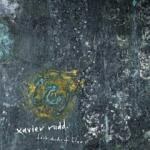 The latest from Aussie roots artist Xavier Rudd substitutes electric guitars for acoustics, but keeps the didgeridoos. For six years now, Australian roots performer Xavier Rudd has peddled good vibes like it's 1969. To his considerable legion of supporters, that may be reason enough to keep listening. And there's no doubt that, in the festival setting, Rudd is easily able to parlay his multiple didgeridoos, set in front of him like alpine horns, into a great, feel-good celebration. Last year he supported Dave Matthews on his never-ending North American tour. It was a great pairing. If the fanbases didn't already, they’d naturally overlap. With Food in the Belly, Rudd demonstrated a tender side. In the role of father he delivered some of his most heartfelt melodies. But he followed that 2005 album with last year's disappointing White Moth, an album that never quite transcended the sum of its parts. That those parts were beginning to wear a little thin may have provided the impetus needed for Rudd to push forward musically (or at least to switch up instrumentation). And so we have Dark Shades of Blue. So what would you do if your songwriting repertoire basically consisted of either soft acoustic roots ballads or surging didergidoo-fueled slide guitar jams? Might you, say, switch up the acoustic guitars for electric ones? Might you blanket your compositions in a studio-engineered atmosphere that is probably best described by that phrase in the title of the album? Not to be flippant, but Rudd's innovations here are hardly groundbreaking. OK, groundbreaking's not what one looks for, really, in approaching a straightforward roots artist like this. And truth be told, if we're judging on song pleasantness – on songs' ability to generate quality radio singles, even - Dark Shades of Blue is easily an improvement over White Moth. It retains moments of Rudd's characteristic and extremely likeable optimism, but also presents a more worried, world-weary side of the artist we haven’t seen before. In this shifting position Xavier Rudd has proven to be more versatile than other rootsy singer-songwriters like Jack Johnson and Donovan Frankenreiter. And Rudd’s also obviously grown as a songwriter. Despite the meandering, jammy nature of some of the pieces, he’s largely foregone the straightforward didgeridoo jams in favour of longer tracks that actually develop, that actually sustain, a musical idea. The songs on Dark Shades of Blue are longer. This allows Rudd to shift between textures and musical ideas without worrying too much about impending choruses. “Shiver” might be Rudd’s strongest composition to date, growing naturally from a gentle brass background over dissonant ghost winds. In more familiar acoustic territory near the end of the disc, Rudd proves he can still capture that fireside singalong vibe with consummate ease: “Home” grows fuller than its initial hush, but two things stay behind: the way the guitar slides echo birds’ chirp and the faint sound of a child yelling, “Hi, Daddy”. However, Rudd’s attempts at pulling in other cultural touchstones than Australian Aboriginal music are a bit more hit and miss. “Wa Wa” uses African percussion patterns to neatly underpin an aching, effective refrain: “I’ll hold you up again”. But “Unkle” tries to meld Japanese folk melody with didgeridoo and echoing prog guitar. The parts sit uncomfortably next to each other, never finding the intended confluence. And at eight minutes in length, this experiment also feels a bit blown-out. Similarly, the substitution of electric for acoustic guitars gives the finger-plucked guitar figures a hulking heaviness that occasionally makes these songs feel ponderous. They have lost that lithe, fun-loving glee that made Rudd so pleasurable to listen to. It’s most noticeable on the upbeat didgeridoo jams, like “Up in Flames” and “This World as We Know It”, an odd choice for the first single. It’s been a surprisingly robust career that Rudd has carved for himself. And even if it felt, a few times over the past two or three years, that things were reaching a creative dead end, Rudd has stepped fairly bravely to answer them. In general, Darker Shades of Blue manages to retain Rudd’s characteristic attitude and prominent Indigenous Australian influences while expanding into new musical areas. That should be quite enough to keep his fans happy until the next time around.